My husband and I are taking our first trip alone with no kids sine 2002. We’re headed to Ontario, Canada with the primary goal of staying in a haunted jail hostel. My husband loves going to places that are supposedly haunted. While we’re there, I’m sure we’ll find more things to do. 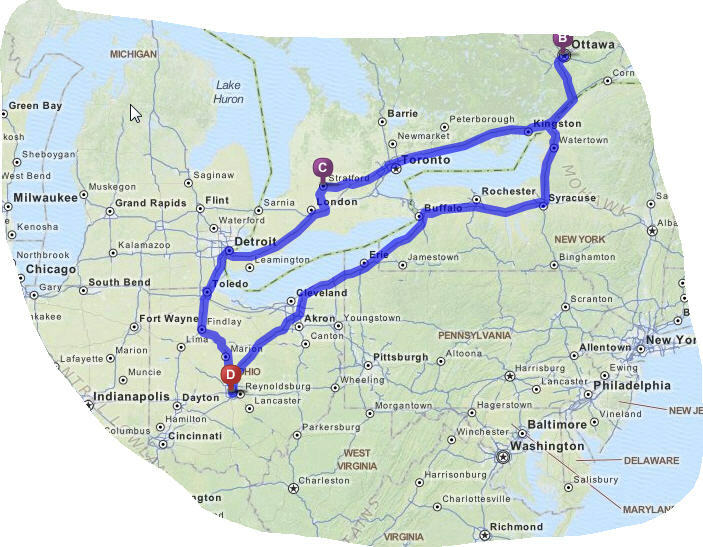 Our route basically takes us around two Great Lakes: Ontario and Erie. I’m thrilled because we’re going in a circle rather than backtracking the way we came. And we’re touching Ontario from edge to edge. Ottawa. You’ve got to check it out. It’s a hostel now.